It appears the boycott isn't really working at all! Preorder sales for Left 4 Dead 2 are doing quite well, according to CVG's interview with Valve's Chet Faliszek. How well? 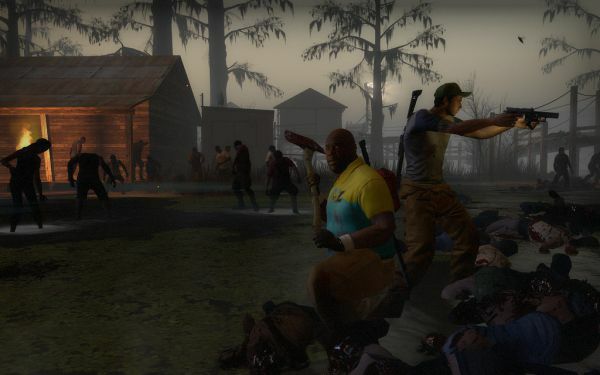 Try four times the level of the original Left 4 Dead. After playing through the demo, I can easily see why; the game looks to be one of the year's best. Maybe you are on the fence about the game, and can't decide whether to preorder? You might want to check out this video at G4TV. It's a twelve minute walkthrough of the new "realism" difficulty level. There's quite a lot of interesting information, including a few tidbits about the AI Director, which controls in-game events. The new and improved Director will monitor how well players are progressing, and alter the environment to compensate. For example, if a group of players is working well together, the amount of rainfall might increase to make shooting more difficult. A nice touch, for sure, and we can't wait to get our hands on Left 4 Dead 2 later this month.